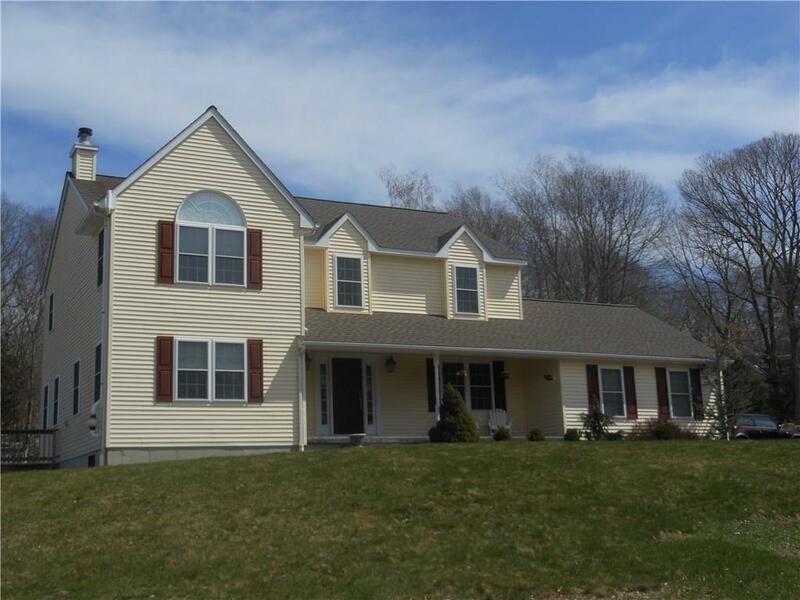 Immaculate 3 BR, 2.5 bath Colonial set on an acre+ lot and only minutes to Mystic. Spacious KIT with granite counters, stainless steel appliances & breakfast bar, LR & DR with hardwood floors, FR with fireplace, master bedroom suite, grand entry foyer, finished basement with 2 great rooms (add'l 800 sq feet not incl. in sq. footage) & 2 car garage. Directions: Rte 184 To Pumpkin Hill Rd. ... Shared Driveway #342.